This is for one current Chrysler stock shock absorber with coil over spring will make a very noticeable difference in your Prowlers ride. They last longer and ride better than stock for less than half the price. This assembly comes all pre-fit together because it requires special tools and skill to otherwise assemble. This is for one current Chrysler stock shock absorbers. 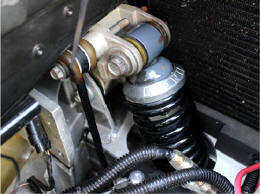 These are shocks designed for Does not include coil springs or folk. 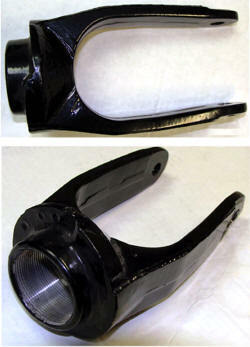 Includes bushing as shown in photo. Includes pre-installed bushing in the eyelet ready to mount. *These are not rebuildable shocks. Does not include fork or spring. 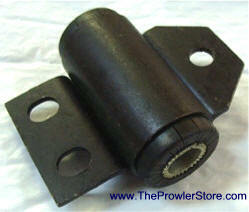 These are the factory shocks directly from Chrysler made for 2000-2002 Prowlers. 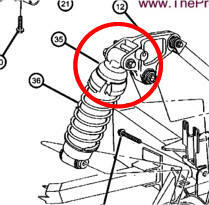 However this Rear shock will direct fit to and work on all Chrysler - Plymouth Prowlers 1997-2002. You reuse your rear fork and rear shock coil. Original Factory Plymouth Prowler shock! 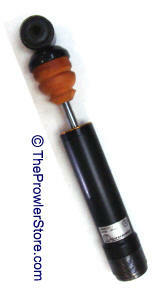 IH-AL-PROWLSHK8 Plymouth Prowler (1997-2002) Adjustable Shock Absorber Coil-Over's - either front or rear. Upgrade shocks! Exact factory fit! Will Fit and work on ALL Prowlers 1997-2002. Exact factory fit. 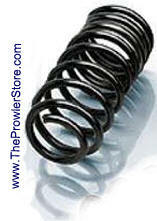 These Fit the same as your factory shocks and our adjustable shocks and springs below. These are actually single adjustable so you can firm up or soft up your ride to your preference. 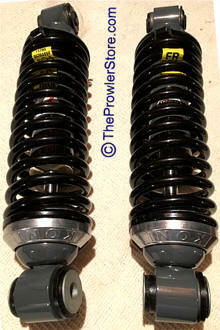 These are excellent shocks designed specifically for the Plymouth Prowler and have a great ride. 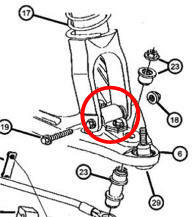 You will remove the forks on your rear shocks and screw them onto your new shocks, no compressing necessary. You reuse your old shock forks. We recommend replacing all four of your factory shocks with these much higher quality adjustable shocks. Stock Ride Height - but also Adjustable! Highest quality - Made in the USA. Upgrade Coil-Over Shocks! Adjustable RIDE! You will use your old shock forks for the rears. 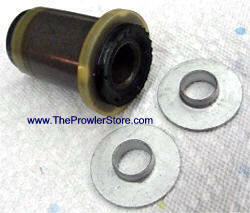 These are the same coil-over's as above but lowered so your ride is 0.8 inches to 1.50 inches lower. Fits the same as your adjustable shocks and springs. These are actually single adjustable so you can firm up or soft up your ride to your preference. 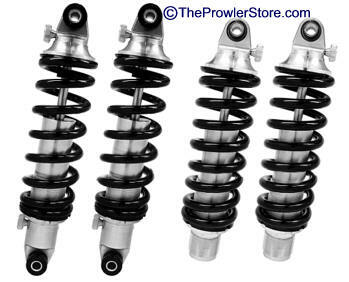 These are excellent shocks designed specifically for the Plymouth Prowler and have a great ride. Lowered Coil over's - but also Adjustable! **We highly recommend that you lower all for wheels not just front or rear. (0.8”-1.5”) LOWERED Coil Over's Kit! **We highly recommend that you lower all for wheels - not just front or rear. 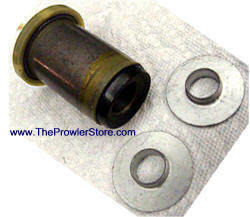 One Bushing for Front Upper top Shock replacement. One needed each (top of) front shock. Used - complete in like new condition. 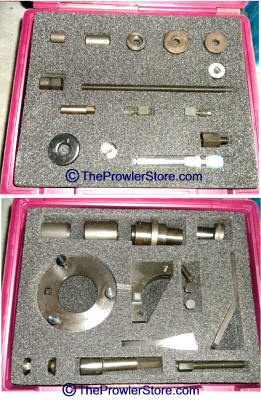 Official Chrysler approved complete tool kit. Specifically for the Plymouth Prowler suspension system. *Ask about Renting this kit. Bushing set for Rear lower Shock replacement. One needed for bottom of each rear shock. Factory replacement Front coil spring. One spring. Factory replacement Rear coil spring. One spring.